That’s right, it’s a Fiat. It’s not to often I stray from “American” cars. I believe this is only the second. And wait, what? !…it doesn’t even have any chrome on it! It’s got a plastic bumper and it’s like sort of new or at least only 20 years old…or less (I don’t actually know the year of this one-if anyone has any suggestions feel free to comment). 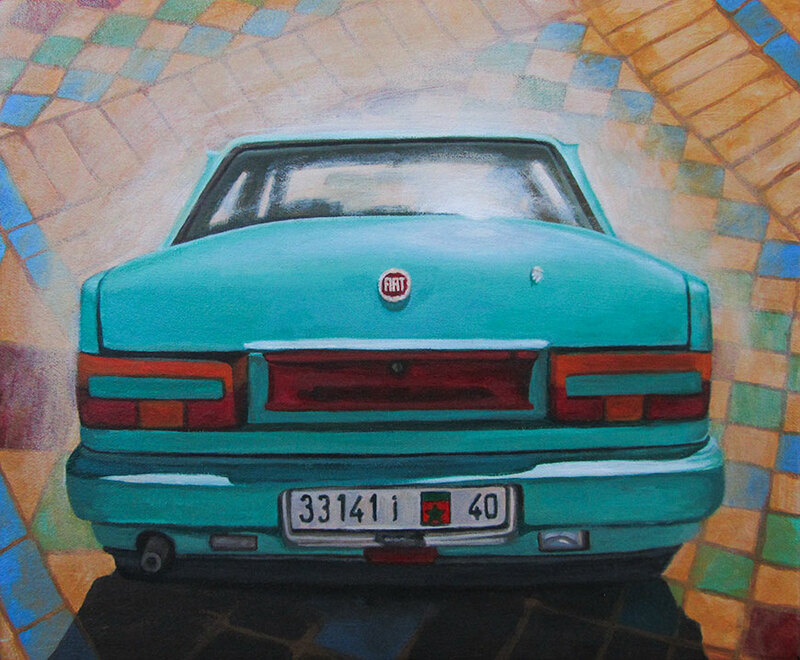 Perhaps the Moroccan location of this car and the hot sun beating down on this little guy inspired me. Friends feed me car photos all the time and few stick but this one did. Thanks SharaNikoPhoto! Tommy had a dark blue one, sort of this shape, kind of boxy style. you know what fiat stands for right?